The PKI 1910 GSM GPS bug is a GSM module with built-in GPS receiver. The module can be used with the built-in battery or alternatively with the power supply of a car. Its compact design makes it perfect for covert installation in a vehicle. The PKI 1910 is activated by a specific SMS and immediately it sends an SMS with the current position. With this data the position can be displayed on digital maps, on the PC as well as on a smart phone. 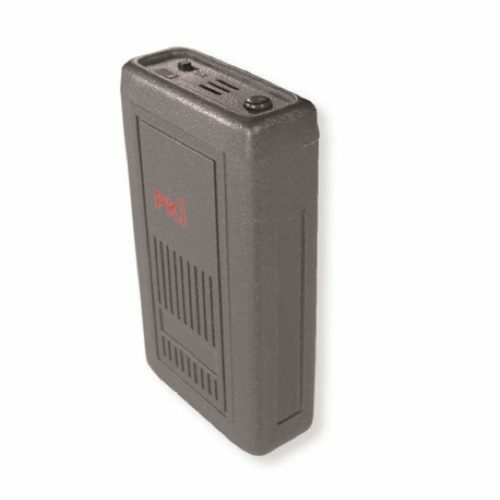 The PKI 1910 GSM GPS bug only requires a valid GSM SIM card for the transmission of SMS and to be reachable. As this device uses the SMS service for the transmission of the position data, it also works within GSM networks that don’t offer data services. This makes the PKI 1910 a perfect tool in order to track the delivery of goods or packages. In addition to locating based on GPS positioning, it can also be used with the GSM radio cell locating method, which allows continuing a locating operation even if the GPS connection is interrupted.